Okay, fine. It's my own fault. I'm the one who plays all those games. But I already told you that I have no focus. As I mentioned earlier, I've been struggling to get back on track since my little writing retreat. Well, today, I bit the bullet and blocked all the Facebook games I've been playing. All except one. And just in case you were wondering how to do it, I took some screenshots for you. Enough, Lana! Stop wasting my time and tell me how to do it, already! When you're logged into Facebook, go to the top right corner and click on the little triangle. 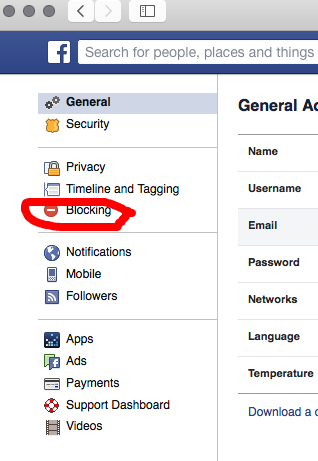 On the left side of your page, click on "Blocking". 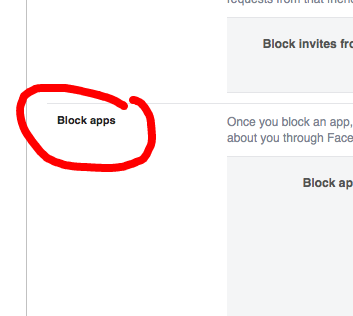 Scroll down until you see "Block apps" on the left side of your page. Then start typing the name of the app/game that wastes too much of your time. A list will show up and you can select the one(s) you're blocking.